Our award winning caregivers at Homewatch CareGivers Northshore are devoted to helping our clients maintain as much independence as possible. Their constant commitment to ensuring the health, safety and well-being of our clients is unequalled in the home care industry. Each caregivers is screened, trained, insured, bonded and provided with continuing education to keep them current on the latest trends in homecare for seniors and the elderly. Our knowledgeable caregivers at Homewatch CareGivers Northshore have been providing quality care for patients with Alzheimer’s and other forms of dementia for over three decades. They help relieve the physical and emotional burden families’ face when caring for their loved ones living with these debilitating conditions. Each client receives an individualized plan of care which expertly integrates personal care, companion care, dementia care, specialized memory and focused memory training. Our compassionate and certified dementia care team understands that caring for a family member with memory impairment is stressful, and having a neutral caregiver from outside your family can help ease the emotional burden that comes with caring for a loved one. Each individualized dementia care plan is designed to meet your specific care needs, address specific cognitive deficiencies, and help family members cope with the challenges associated with care. We provide the extra help needed to keep seniors safe and comfortable in their living environment. Our caregivers assist in activities of daily living that can challenge and endanger any client suffering with health and mobility issues. Whether you are seeking personal care services, assistance with physical therapy, care for an elderly loved one, Alzheimer’s or dementia care or 24 hour in-home care, Homewatch CareGivers Northshore will work with you to determine which type of home care service is the most beneficial for your particular situation. We will work closely with your family to customize a program that provides a perfect balance of services and value. In addition to our compassionate team of caregivers, our Homewatch services team can assist you in obtaining durable medical equipment such as walkers, wheelchairs, or Hoyer lifts if needed. Homewatch Caregivers employs a wide range of qualified in-home care professionals, including, companions and caregivers, home health aides, certified nursing assistants (CNA), licensed practical nurses (LPN) and registered nurses (RN). At Homewatch CareGivers Northshore we specialize in providing you with the Best Home Care Professionals in Park Ridge Illinois. 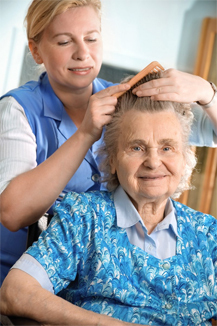 Looking for the Best Home Care Agency in Park Ridge for your loved one? The first step to finding the Best Park Ridge IL Home Care agency is to determine the level of care that is required for your particular situation. The second step is to find a home care agency that is caring, compassionate and experienced that can provide you with “real life” client testimonials and customer reviews. We’ve found that the best advice usually comes from the people who have already experienced what you are going through right now. That’s why we display real-life testimonials on our website from people who have experienced the compassion and care that Homewatch CareGivers Northshore can provide. 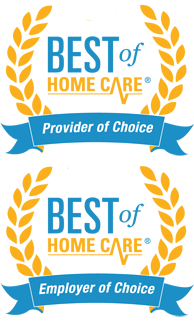 Are we the Best Home Care Agency in Park Ridge? That’s for our clients to decide, however, after reading our client reviews and testimonials, you can take comfort in knowing that many others that have been in your shoes have trusted Homewatch CareGivers Northshore to provide dependable home health care services tailored to meet the needs of their loved ones. To learn more about the comprehensive in-home care services, senior and elder care services, Alzheimer’s & dementia care, as well as home health care services we provide to Park Ridge IL area residents and to see what level of care you or your loved one may need please contact us at (847) 616-5600 or CLICK HERE to schedule a FREE – NO OBLIGATION HOME CARE ASSESSMENT.